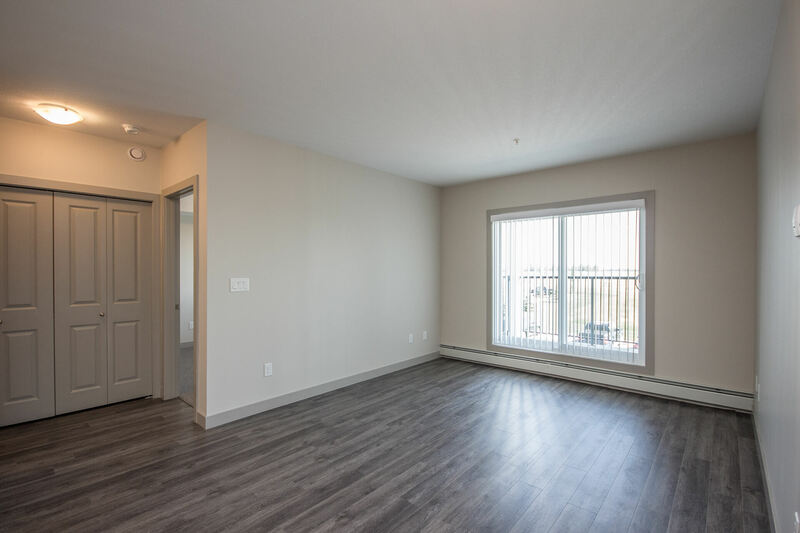 Nestled in the historic city of Lacombe are our luxurious Trilogy Apartments. Lacombe is a friendly city with scenic walking trails, delicious cuisine, and organic farmers markets. Explore Lacombe’s historic past and create your new favourite memories. This beautiful rental community, located close to Highway 2, offers affordable luxury condo-style apartment homes in a quiet neighbourhood. While living in Lacombe you can tour museums, browse for antiques, and attend heritage festivals. 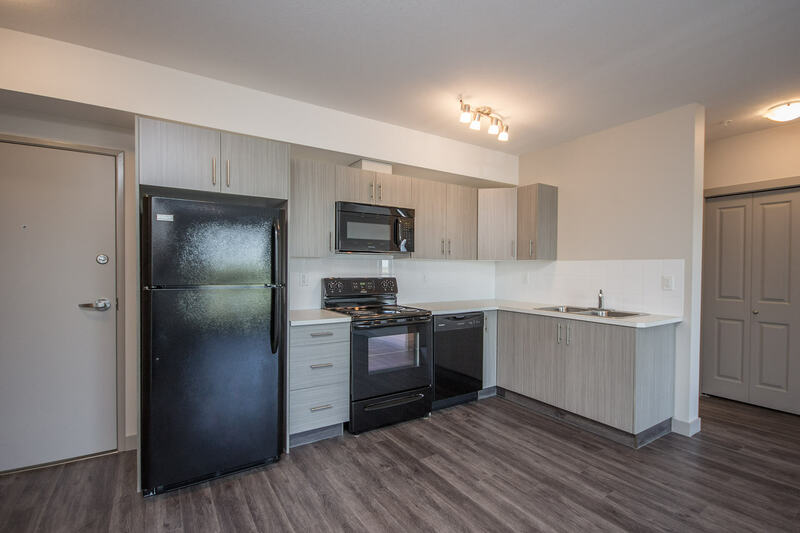 All our apartments come equipped with a queen-size bedroom, open-plan kitchen and living area, full bathroom, and an in-suite washer and dryer. When at home, on cold days, you can cozy up with a coffee in the lobby with your new neighbours. During the summertime relax on your private balcony with friends and family. Regardless of the season, Trilogy Apartments has something to offer everyone. 490 - 618 sq. ft.
793 - 888 sq. ft.